NORTH EAST, Md. – Cecil College is the recipient of a Maryland State Grant that provides full tuition for child care providers seeking an associate degree in Early Childhood Education or Elementary Education. 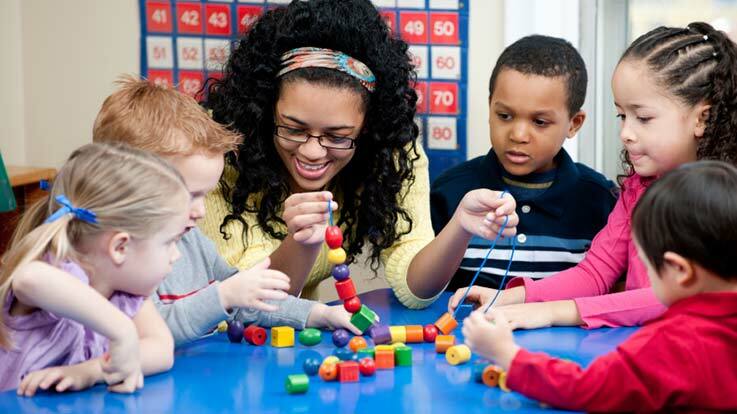 The Child Care Career and Professional Development Fund (CCPDF) covers all tuition, books, and fees, aligning with Cecil College’s Associate of Arts in Teaching (AAT) degrees in both Early Childhood Education and Elementary Education. “This is an exciting opportunity for Cecil County and those individuals working in child care to have their tuition paid for by the grant,” said Jennifer Greenfield, Ph.D., Professor of Teacher Education at Cecil College. To qualify, individuals must currently be employed at a licensed child care center in Maryland, working an average of 10 hours weekly. Also eligible are registered family child care providers providing a minimum of 10 hours of service per week. Participants must have at least one year of experience in child care. Fund applicants must have a current Level Two or higher Credential at the time of Fund application submission. While in college, students must maintain a 2.50 GPA and take part in professional development workshops. There is no limit on the number of child care providers taking advantage of this grant, and there are no income stipulations. Cecil College was awarded this grant on June 19, 2018, and can apply for renewal annually. There is a service commitment attached for recipients of this grant. Recipients agree to a continuation of employment at a child care center, working at least 10 hours weekly for two years after completion of an associate degree, or for four years upon completion of a bachelor’s degree. “There is a real need for additional child care services in Cecil County and this grant enables those providers to earn a degree without going into debt. It is a win-win situation,” said Dr. Greenfield, who has four students enrolled in the program this fall. Participants who do not fulfill the 10-hour commitment while taking classes and/or the service commitment required after graduation will be invoiced for the funds paid on their behalf. To apply for this grant, interested child care providers should contact Alyssa Ehrsam, Child Care Career and Professional Development FundCoordinator,at 410.599.5263 or ehrs6670@cecil.edu to learn of their eligibility for this grant.